Finally It Is Possible To Automate Small Series Manufacturing! With OpiFlex mobile robot, you can easily share the a robot with multiple machines, avoiding fences and easily reprogram the robot in less than ten minutes. Be Competitive, Bring Back The Manufacturing To Your Country! 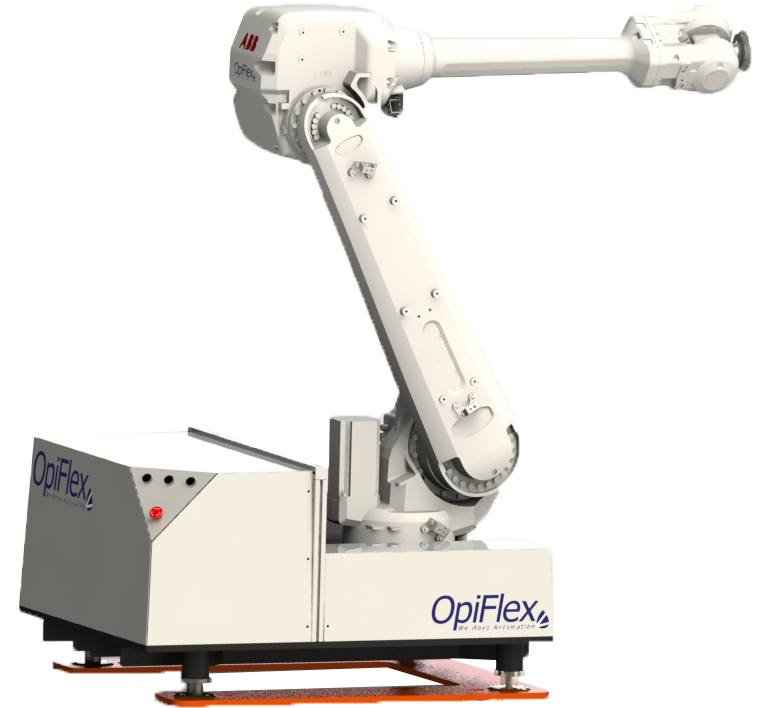 With OpiFlex mobile robot you increase productivity by 20-60%, have a greatly increased contribution margin and become competitive. 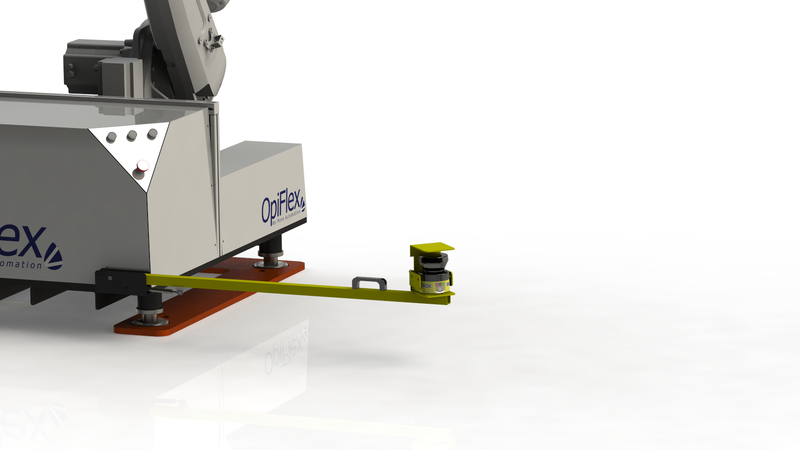 OpiFlex has a safety solution without fences that follow the rules of robot safety in the EU regulatory framework: machinery directive 2006/42/EC. The world’s most prestigious award in the robot and automation industry given by International Federation of Robotics and IEEE. 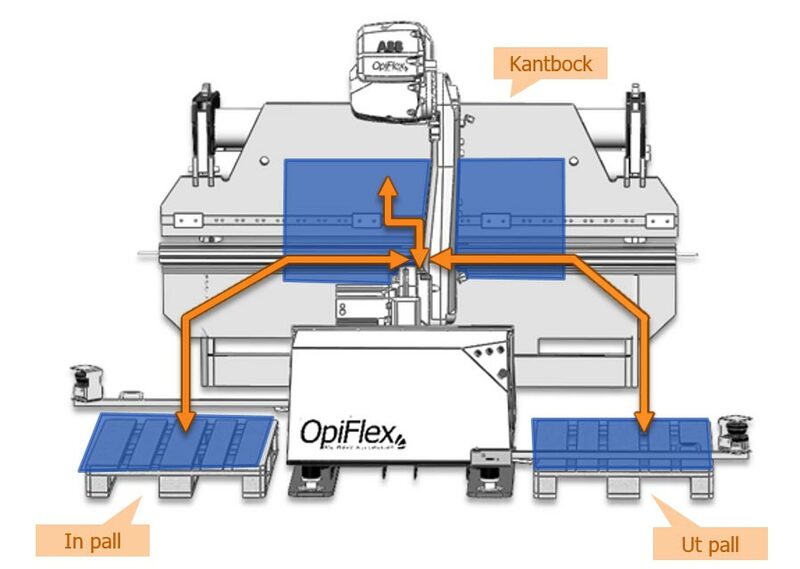 The EU Commission says: “OpiFlex solves a key challenge for Europe’s manufacturing industry”. OpiFlex has created an entirely new and flexible ways to program a robot. Anyone can reprogram with just 5 minutes of training. By simply moving the entire robot cell you can profitably automate low and irregularly used machines and small series production. The key to automation is high flexibility. Many business owners have long wanted to automate, but it has been financially difficult with a fixed robot. With OpiFlex it’s possible. The key to successful automation is to have high flexibility and to be able to adjust for new products. Now, with OpiFlex flexible solution even companies with small series manufacturing and uneven utilization can get sharp increase in gross margin and competitiveness. Be competitive and bring back production home to your country. OpiFlex flexible solutions create new opportunities and business models. In addition to traditional business models, we can offer both leasing and rent per hour. All to increase flexibility and meet your needs. Our passion is to solve the challenges in an easy and flexible way. It should be profitable to automate! Great flexibility is the key to automation. Many business owners have long wanted to automate, but it has been financially difficult with a fixed robot. Now, with OpiFlex flexible solution even companies with small series manufacturing and uneven utilization can get sharp increase in gross margin and competitiveness. Why have a fixed robot when it can be moved? Safety solution without fences follow the rules of robot safety according to EU machinery directive 2006/42/EC. You don’t need fences that blocks the machine and takes place. The entire Safety solution is automatically configured at each cell. Why block the machine with fences?